Atoka Motorsports Park in Atoka, OK has released the Race Flyer for their upcoming Fall Fest event on October 8-9. Read on to view the class & payout info. 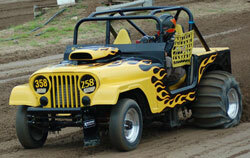 Planet Sand Presents the West Coast ATV Shootout at Dome Valley Raceway in Wellton, AZ November 10-13. This ATV-only event features a full array of heads-up & bracket ATV classes as well as a special appearance by Jeff Guillot’s “Wild Thing” Nitro Bike. Read on to view the race flyer & details. Little Sandy Raceway in conjunction with Wilson/Steele Racing & Team Richards have announced the 2010 Show Me The Money event on October 15-16. SMTM has a long tradition of being a great event with huge payouts and close competition. This is the first time this event will be held at the Grayson, KY track. NSDN will be on-site with coverage of this event. Click “Read More” for details on this race. 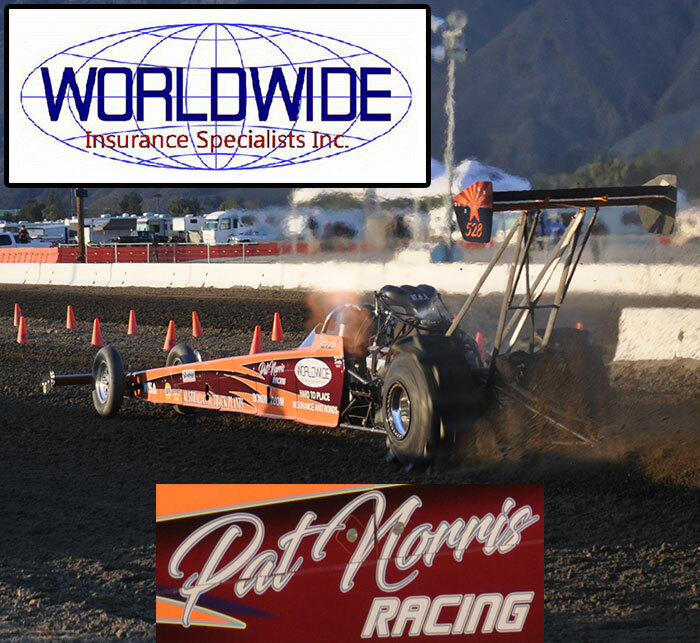 Dome Valley Raceway in Wellton, AZ is readying for the upcoming October Showdown on October 23-24. The race flyer for this event has been released. Click “Read More” to view the event info on the race flyer. Anticipation is growing as the 2011 AZ vs. CA Top Fuel Shootout @ Dome Valley Raceway near. This event scheduled for January 22-23, 2011 looks to be a great kick off to the new race season that is just around the corner. The AZ Top Fuel Group, co-promoters of the event with Swag Racing, has released a Promo Video for this upcoming race. Click “Read More” to view this video. Atoka Motorsports Park in Atoka, OK is proud to present Fall Fest 2010 (Formerly Known as Watermelon Patch Nationals) on October 8 & 9. Friday will feature Test and Tune as well as 2 Qualifying Sessions for TA/TE & Quick 16 Cars/Quads classes. Saturday will see Eliminations for TA/TE as well as Money Classes in Pro 1 & 2 Cars as well as Pro 1-4 Quads. Also, a special feature at this year's Fall Fest is that Jeff Guillot will be making the trip from Louisiana with his World Record Holding "Wild Thing" Nitro Bike. Jeff has run as quick as 2.72 and is looking to lower that record at AMP. Read on to view the Nitro Bike flyer produced by our friends at Lone Star Graphics. Ionia Sand Drags in Ionia, MI has released the race info for their upcoming Double Header event on September 24-25. NSDN will be on-site with coverage of this race. Read on to view the race flyers. Fall is upon us, and the weather is going down hill here in MI, but the sand drag racing season is hitting full swing as we head towards the final three months of 2010. So far in September, NSDN has been on-site at a couple of local events, the Winner’s Circle Weekend race at West Michigan Sand Dragway as well as the MSBA Hill Climb at the Silver Lake Sand Dunes. If you have not been to the Photo of the Week/Showcase Video page yet, do navigate over there for some amazing footage from the Hill Climb. This even brings about some of the wildest shots we see all season long. Route 66 Wings and Wheels & Fast Track Racing Association are bringing the NAPA Racing West Coast Winternational Sand Drags to the Mohave County Fairgrounds in Kingman, AZ November 5-7. 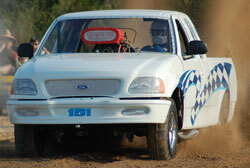 This upcoming event looks to be a great cap to the 2010 west coast sand drag racing season. Event info is downloadable as a PDF document below. Dome Valley Raceway in Wellton, AZ is hosting the Dome Valley Junior Dragster Show Down on September 18. This event features both Junior Dragster & Youth classes with the Junior Dragster class featuring a nice payout. Open Test and Tune will be available for all vehicles throughout the event. Read on for the full event flyer. Thunder Valley Sand Drags announced today a postponement of the Show-Me Fall Nationals, originally scheduled for this coming weekend due to the impending storm heading for the Western Missouri area. The Show-Me Fall Nationals will now take place on the weekend of October 1-2 with the event following the same format. Stay tuned to NSDN & www.ThunderValleySandDrags.com for the latest updates. The Pro Truck Nationals 2010 season finished on a high note with the Show-Me Pro Truck Nationals at Big River Sand Drags in Bonne Terre, MO taking place in early August. Warm weather didn’t deter racers and spectators as things came together for this Season Finale. With championships and lots of prize money on the line, the action was bound to be spectacular and it surely was. Let’s take a look at the action.